Commercial investors can track many things with apps, such as lease management, energy usage or property security. Information is not enough; taking action on information is most vital, which is why many of these apps can be so powerful. Commercial real estate apps aren’t just about tracking existing properties; you can also use them to find new properties and market your vacancies. It wasn’t long ago that most investors were using that pager attached to their belt in order to stay connected to their business. These days, the popularity of mobile devices has changed the investing business. Nowhere has this been more drastic than in the slew of commercial real estate apps available to investors. Which apps will prove the most valuable of commercial real estate investor tools? How can these real estate investment tools move the needle in your commercial ventures? There are many commercial investor apps to choose from. Some of the best ones allow you to manage your leases, find investment properties, track energy and water usage, and even monitor your property for warning signs. As any commercial real estate investor will tell you, managing leases can be a nightmare, even on the best of days. This powerful app, with its simple interface, allows you to organize leases, lower your operating costs and give you a thorough snapshot of how lease accounts affect your balance sheet. Visual Lease is a great tool for all members of your team, from the virtual assistant to the owner/CEO. Whether you’re looking for an investment property to add to your portfolio or looking for tenants to rent out your existing vacancy, LoopNet is an absolute must for your mobile device of choice. With over 800,000 searchable listings, and tons of search filter options, it’s a snap to find a property that meets your investing needs. Where else can you get lender information, tax history and tenant info? What’s more, LoopNet is also a great place to list your commercial property, when the time is right. All the great operational tools in the world won’t help your commercial investor career if you’re not able to present your properties in an attractive and compelling way. When it comes to commercial real estate marketing tools, this cloud-based platform can assist you in presenting (and managing) your portfolio. From interactive site plans to automated flyer creation (based on your latest changes), this commercial real estate app can be a real game-changer. Utilities, namely water usage, are something that can easily eat into a commercial investor’s profits. Keep tabs on your water usage and learn strategies for implementing savings with this powerful tool from Hunter Industries. No matter what style of commercial property you have, just put in your property size, days of usage and water consumed, and this app will calculate how small, minor adjustments to your irrigation system can save big money in the long run. Sometimes the best real estate investing tools of all are simply having enough information about a market that will prepare you for quick, decisive action. This ultimate source for commercial real estate intelligence offers timely, verified market data and intel from over 1,600 research professionals. 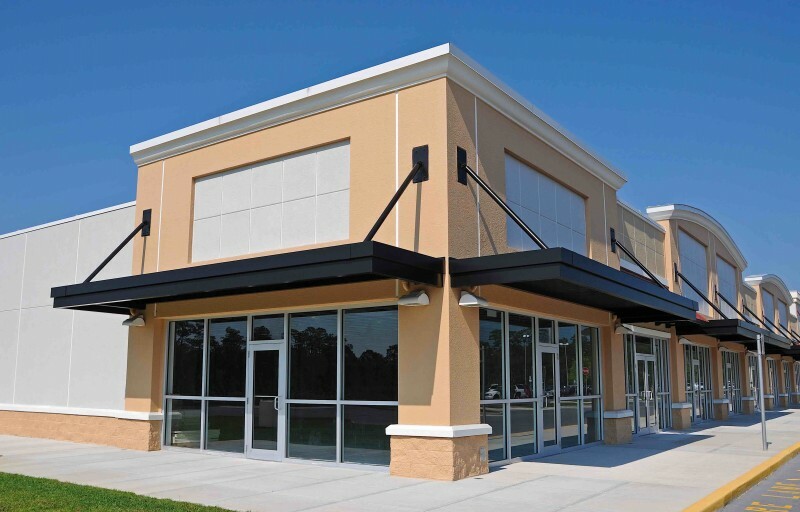 The first step to keeping costs down as a commercial real estate investor is to get a comprehensive look at those costs, and how they correlate to your overall commercial portfolio. There may be no better tool for doing this then REoptimizer. With a simple, easy-to-use interface that lets you see all your lease information in one location, you’ll get a quick glance at how every level of your portfolio is performing. Say goodbye to the days of scrolling through endless Excel spreadsheets, with this powerful management software tool that gives you the information you need quickly, and when you need it. Protecting your valuable commercial assets is of vital importance to every investor, but manually monitoring a facility can eat into the bottom line. A more efficient, and a cost-effective, approach might be this app and monitoring system from Monnit. With its wireless sensor platform, you can monitor your properties and be alerted if any issues arise. Best of all, the tool will inform you of any warning signs – possible leak, broken window, etc. – that might point to bigger issues down the road (you can receive alerts in any form that works best for you). Do you know how much energy your building is currently consuming? Do you have a plan or set of strategies for reducing the energy costs of your investment properties? With its use of smart sensors, this powerful tool can help you track energy consumption and give you actionable data that can help you find areas of waste that might be cutting into your profits. Best of all, this tool also has a forecasting element that lets you plan out your future needs and give you strategies for preparing for high-energy parts of the year. Becoming a successful commercial real estate investor is about far more than acquiring more knowledge than the competition; it’s about taking action based on that knowledge. Moreover, it’s about having data precisely when and where you need it – in a mobile interact that travels with you. Do you have some commercial real estate apps that you recommend? Let us know in the comments below!